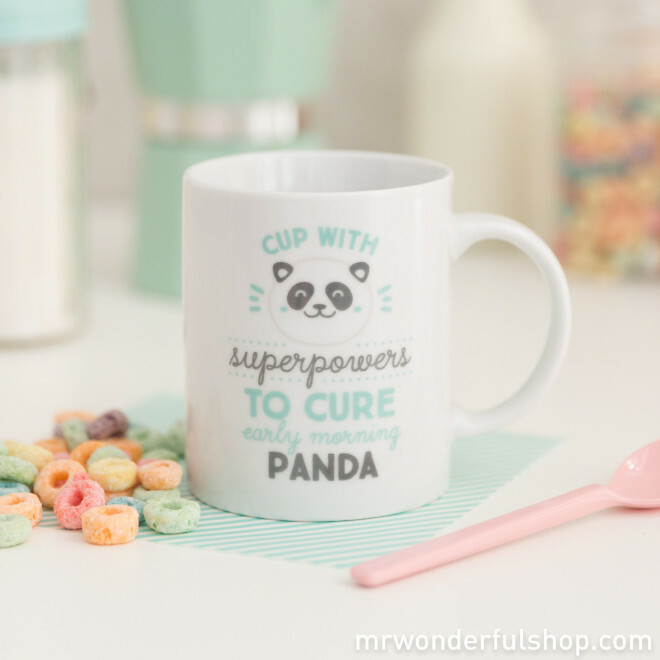 A special mug for that special workaholic who enjoys burning the midnight oil and rising with the sun. 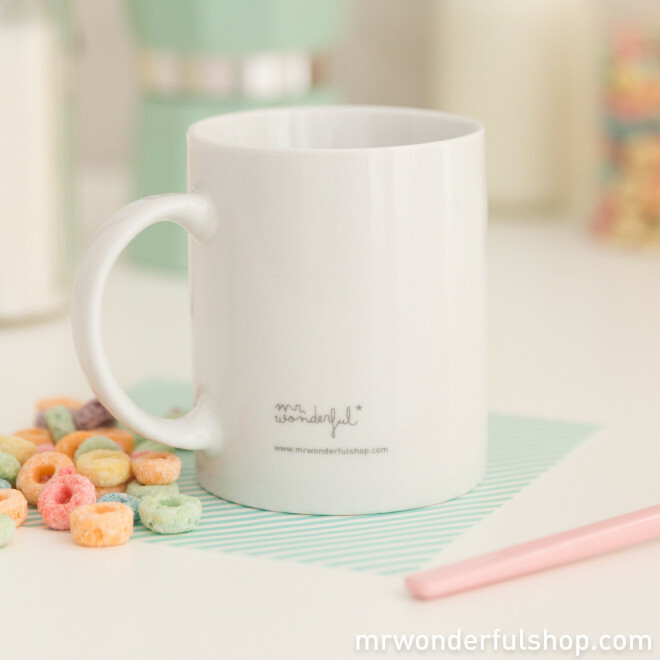 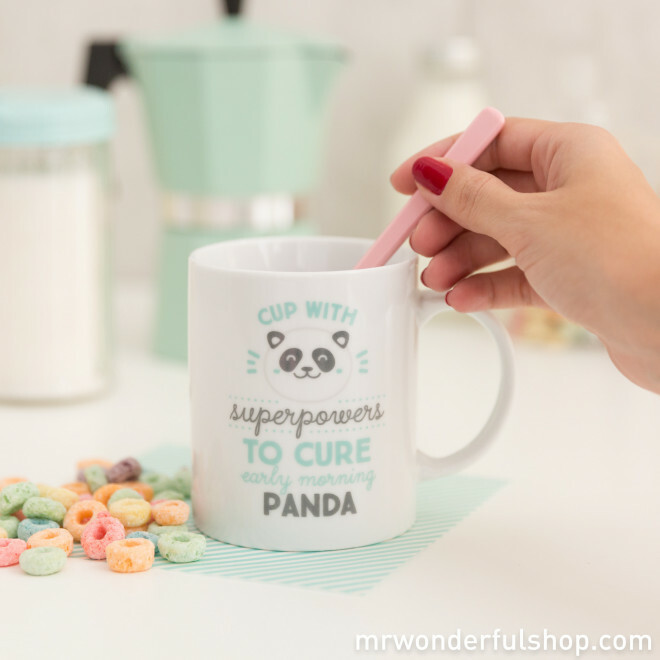 This mug makes for perfect company over a spot of breakfast and helps even the most sleepy of heads wake up with a beaming smile, looking forward to their first cup of coffee. 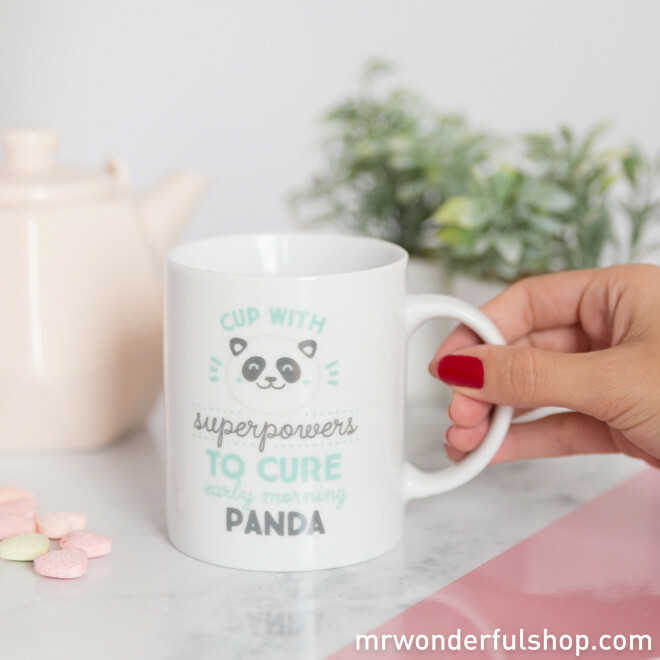 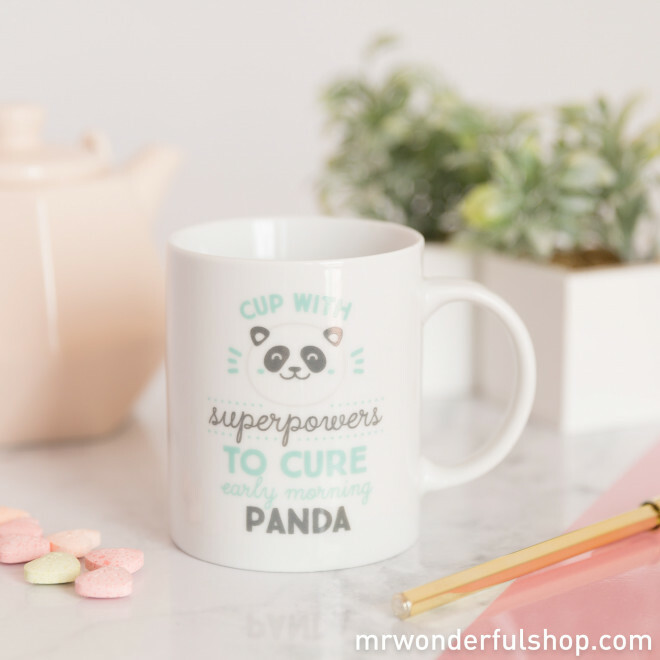 Both dishwasher- and microwave-safe, this would make a perfect gift for a precious friend or family member who needs an extra strong drink with panda superpowers a-plenty!